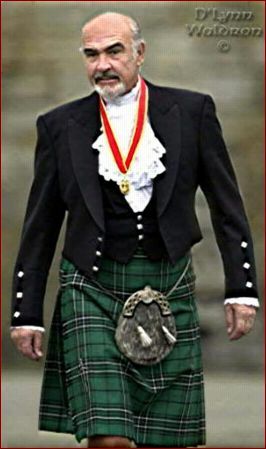 There is perhaps nobody who represents the kilt-wearer (to those of us in America, at least) better than Sir Sean Connery. These photos, used without permission, show the one-time James Bond sporting a MacLean of Duart hunting tartan kilt. This is Sir Connery on the occasion of the presentation - by HRH Queen Elizabeth II - of his knighthood from the British Empire, July 2000. 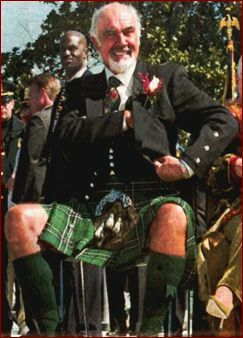 At left is Sir Connery at the celebrations of the opening of the new Scottish Parliament, 1 July 1999. From the Times of London. Perhaps not exactly a kilt wearer, but close. It was in Scotland that the first statue of an American President was erected, in 1893. 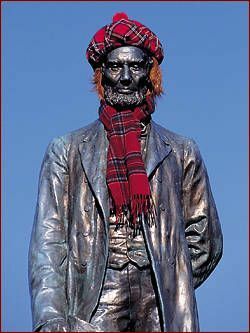 This photo, of a plaid-clad Abraham Lincoln in Edinburgh's Old Calton Cemetary, makes our Hall of Fame. The statue was erected in memory of those Scottish-Americans who died in the Civil War. What's this? 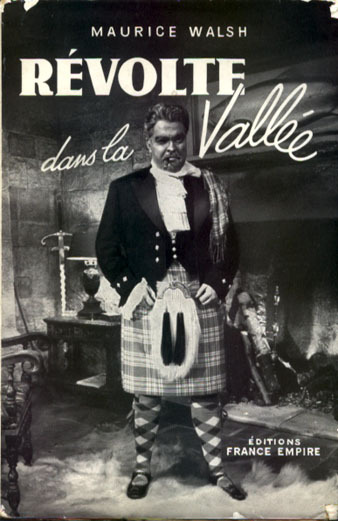 The late, great Orson Welles wearing a kilt? 'tis true. You're looking at the cover of the French-language translation of the book "Trouble in the Glenn", entitled "Révolte dans la Vallée". 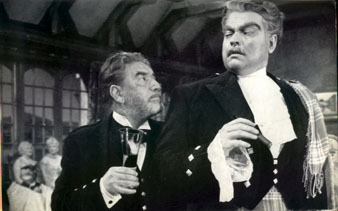 The images are stills from the film of the same name. Made in 1955 by Republic Pictures, directed by Herbert Wilcox, and starring Orson Welles, Victor McLaglen, Forrest Tucker, and Margaret Lockwood. For the bibliophiles searching the 'net, the complete cover text is: Maurice Walsh / Révolte Dans La Vallée / Traduit de l'anglais par Jane Fillion / éditions France Empire / Paris / copyright 1954. 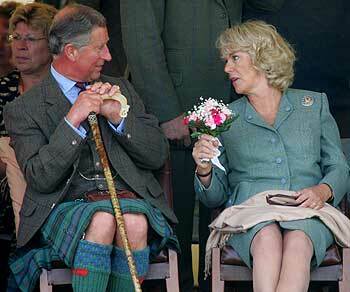 The Prince of Wales, Charles, announced in early February 2005 that he was to wed his longtime companion Camilla. 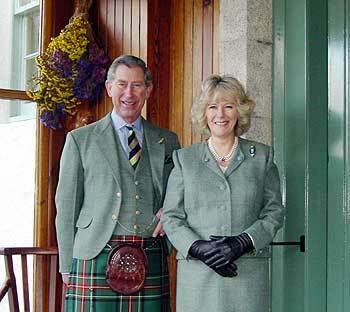 But what's really important is that Charles looks good in a kilt, and these photos have been seen worldwide. Well, it's not that important, but it's better publicity about someone who doesn't look good in a kilt.